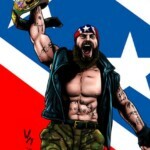 Jay Briscoe Breaks Tradition and Declares Himself “Real” ROH Champion! championship.When Jay 100mg sildenafil citrate tablets Briscoe returned to action, he carried with him a championship belt which he declared was the “real” ROH World Title – the title that Jay says still belongs to him! Man up this summer with Jay Briscoe and his awesome new singles playing card celebrating his reign as the “Real” ROH World Champion! Will he return to the top in YOUR ROH cialis canada order fed? ROH: Tradition of Honor is set for release on July 12 at GalactiCon in Jamestown, NY. The game starts mailing on July 15. Keep watching for updates on pre-ordering! This will be incredible as Jay Briscoe sets his sights on the top spot! ← COTG 2130: Monolith Makes His Move. But Why?